Beer is one of the most popular alcoholic drinks in the world. Whether you drink it for the buzz, for their unique flavors, or both, you can find a beer that is perfect for you. However, that beer that you love so much may be not be helping you at all in the long run. This is because the average beer has around 150 or more calories in every 12-ounce serving along with a dose of alcohol, which will cause several adverse effects throughout the body when you have too much. What’s even worse is that most beers are not even close to being keto or low-carb friendly. Their carb count is typically so high that just one beer will take a good chunk out of your carb limit for the day. Fortunately, this isn’t the case for every beer. There are dozens of beers that have low enough calories and carbs that they can be consumed while you are on a ketogenic diet or a low carb diet. But before we talk about these keto-friendly beers and other low-carb beer alternatives, let’s get a better understanding of why beer can make it much harder for you to have the body and health that you’ve always wanted. Almost every beer consists of four main ingredients: water, malted grains, hops, and yeast. The malted grains are the meat and potatoes of beer, and the reason why beer is sometimes called “liquid bread.” They provide the sugars that are fermented by yeast to produce alcohol and CO2 (natural carbonation). However, not all of the sugars and carbohydrates from the grain will be fermented, providing the beer with a combination of carbonation, alcohol, and carbs that beer drinkers love. Side note: malted grains are grains that are germinated and dried in order to activate enzymes that help break down the starch from the grains into simple sugars. The yeast will then digest these simple sugars even further to create alcohol. The malted grains are also the primary source of color, body, flavor, and aroma in beer. Malted barley is by far the most widely used grain in beer making, but it is not the only one. Other malted grains commonly used in brewing include wheat, rye and oats. There is one problem with these grains, however. They are the primary source of calories and carbs that you get from the beer. The hops and yeast contribute a tiny amount of calories, but calorie content of the beer depends mostly on the grains. On top of that, some beer brewers add other ingredients like unmalted grains and added sugars to add to the flavor and drinkability of the beer. Unfortunately, these additional ingredients also add more calories and carbs to the beer as well, making them even worse for you from a health and dieting perspective. Regardless of how many carbs your beer does have, we must not forget about its alcohol content and what the alcohol does to the body. Not only does every gram of alcohol consist of 7 empty calories, but alcohol also alters what our body does in ways that are not conducive to your keto diet success — and I’m not talking about the buzz that it gives you. What Happens When We Drink Beer? You probably already know, to some degree, what happens when you eat carbs, but things change when you consume alcohol with those carbs. Firstly, both the carbs and the alcohol will trigger insulin levels to rise, and the carbs will briefly increase your blood sugar levels along with a decrease in ketone production. Once the alcohol enters the liver to be detoxified, your body’s energy sources will be directed toward handling the alcohol that you just ingested. As a result, gluconeogenesis shuts down, lactate accumulates, and the liver starts synthesizing fatty acids for storage. All of this may cause hypoglycemia (low blood sugar) and lactic acidosis (acid accumulation in the blood), which will disrupt your metabolic health substantially. After the alcohol is broken down in the liver, its metabolites will be converted into acetyl CoA. As the acetyl CoA accumulates, two things happen. Firstly, ketone bodies will form and be released into the blood, exacerbating the acidic condition already resulting from the high lactate concentration. Secondly, acetaldehyde will start to build up in the liver, which can significantly damage the liver and eventually cause liver cell death. These effects are relatively benign if you only consume 1-2 standard drinks in a day (12-24 ounces of beer). In fact, studies have found drinking a moderate amount (no more than one to two drinks per day for men, and no more than one drink per day for women) is associated with a reduced risk of heart disease, type 2 diabetes, and gallstones. In other words, having a small amount of alcohol on a daily basis may confer some health benefits. However, as soon as you consume more than a moderate amount, the toxic load of the alcohol will overwhelm the body and can cause hypoglycemia for several hours after drinking, liver damage, a build-up of fat in the liver, digestive issues, inflammation throughout the body, heart problems, reproductive issues, and many more harmful effects throughout the body. In light of the evidence, it looks like it is best to drink a moderate amount of alcohol and have nothing more than that. However, we can’t forget about the calories and carbs that come with consuming beer — especially if you are on the ketogenic diet. If you keep your beer consumption to 1 to 2 beers a day or less, then you may gain some extra weight or slow your weight loss (depending on how many calories you consume throughout the day), but your overall health might be just fine. For those who are on the ketogenic diet, however, it is essential that you are mindful of what beer you drink and how much beer you drink. Many beers have enough carbs to put you over your carb limit for the day with just 12 ounces. Plus, the influx of alcohol and carbs will throw off your body’s ability to burn fat for fuel due to the insulin increase and the toxic load of the alcohol on the liver. Earlier I mentioned how ketone production is likely to increase as our liver processes the alcohol, but don’t mistake this for fat burning. In fact, your body is doing everything it can to burn the alcohol instead of fat, and one of the metabolites of this process can be turned into ketones. However, don’t mistake this increase in ketone production for a good thing. This is not the kind of ketosis that you want to maintain while you are on the ketogenic diet. Ideally, you want your body to become a fat burning machine, not an alcohol burning machine. With that being said, you can still drink beer in moderation while you’re on the ketogenic diet or low-carb diet without it impairing your results in the long run. However, this doesn’t mean you can just drink any beer you want — even if its only 12 ounces. While you are restricting carbs, it is important to stick with low-carb, low-calorie beers. This way you can ensure that you will get good results for your diet without missing out on your favorite type of drink. 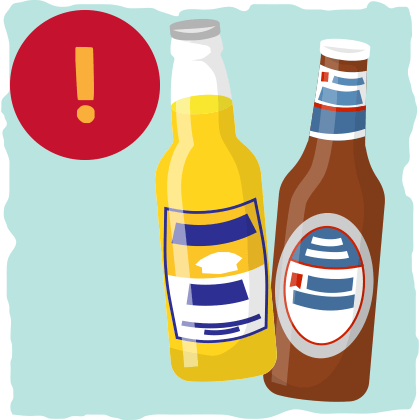 Below, you’ll find a list of some of the more common low-carb beers. Some of them may taste a bit watered down because many of them are. If you typically drink a few beers for the buzz, aim for the ones with higher alcohol by volume – this means you’ll have to drink less in total to get the same effects. If you choose a beer with a lower alcohol content, you’ll have to drink more to get the buzz you want. Note: the darker the beer is, the higher the carb count tends to be. Try to avoid any stouts and lager that are darker in color (especially those that are red, amber, or brown). There are so many low-carb beers out there that this list above does not have them all, but it does contain most of the beers you’ll find. Each one has a low enough net carb content that you could hypothetically consume 1-3 beers a day without it putting you over your daily carb and net carb limit. Although these beers are lower in calories and carbs than most other beers, this doesn’t mean that you can drink them like water, especially when you are dieting. Make sure you remember to record the calories and net carbs you get from the beers that you drink and consider them with the macronutrients you consume throughout the day. If you drink beer regularly and don’t add them to your daily macros, then you may end up slowing or even stopping your progress. To find out how your favorite low-carb, low-calorie beer will fit into your ketogenic diet, plug your information into our keto calculator and start tracking your macros. I recommend using apps like MyFitnessPal or Cronometer as they provide the most convenient way to track your fat, carb, and protein consumption. If you need help figuring out how to set up one of these apps, we put together a step by step article that will guide you through everything. You can find the article by clicking here. On the other hand, what should you do if you want to cut out beer from your diet completely for health reasons or you just want a gluten-free alternative? You have a couple of options. You can either replace it with water (and other non-alcoholic keto-friendly drinks) or try out some of the low-carb beer alternatives that you’ll find below. Whether you struggle with gluten in any way or want to experience some of the aspects of beer without the alcohol and calories, there are a couple of keto-friendly drink options you can try. Want something that has all of the flavors of beer? Make your own shandy. A shandy is quite simply a beer mixed with a soft drink. Shandy’s are often made with a combination of carb-rich beers and sugar-filled soft drinks, but you can make your own keto-friendly shandy as well. To make your own low-carb shandy, simply mix half of your favorite low-carb beer with diet root beer or diet ginger beer (or any other diet soda flavor you want to try). The end result will be an alcoholic drink that maintains most of your favorite beer flavors while cutting down on the alcohol, carbs, and calories. If you want to raise the alcohol content of your shandy without adding any extra carbs, add some of your favorite unsweetened hard liquor to it. Bourbon, scotch, and whiskey, for example, can bring an extra smoky bitterness to the drink that you may really enjoy. For the buzz and the bubbles, try a low-carb alcoholic seltzer drink. These taste nothing like beer, but they give you the bubbliness and alcohol content that will provide you with a nice buzz. They come in many fruity flavors that you might really enjoy. Some of the most popular low-carb seltzer drinks are Truly Spike, White Claw, Spiked Seltzer, and Nauti Seltzer. They each have less than 6 grams of net carbs in every 12-ounce serving with 5 to 6 % ABV. For more information about these drinks, click here. Feel free to mix these seltzer drinks with the other low-carb beer alternatives in this article to add some extra alcohol, flavor, and carbonation to your beverage. Just make sure you keep track of how many calories and carbs are in your mixed drink. For the buzz, the bubbles, and the bitterness of beer, try mixing hard liquor with carbonated water. The best hard liquors to use for making a low-carb beer alternative are bourbon, scotch, and whiskey. Mix a bit of your favorite whiskey, bourbon, or scotch with carbonated water or a zero-calorie fruit-flavored carbonated water to create an alcoholic drink with the smoky and bitter alcohol taste that many beer drinkers love. For more information on the calories, carbs, and % ABV in these hard liquors, click here. If you want an alcohol-free, carbonated beer alternative, try some of these low-carb options. Although it is nearly impossible to emulate the experience of beer without having beer itself, there are some alcohol-free alternatives that possess some of the flavors of beer. Drink diet root beer or diet ginger beer for subtle beer flavors and carbonation. Mix your favorite zero-calorie carbonated beverage with different bitters and extracts. Your best bet is getting some hop-based bitters or hop liquid extract and adding that to carbonated water. Many people have used the combination of heavily carbonated water with hop-based bitters and orange bitters to recreate some beer flavors. This will take some creativity and experimentation, but with the right blend of bitters and extracts, you can create a beer alternative that you will really enjoy. Just make sure you take note of the calories, alcohol, and carb content of the bitters and extracts that you are using (if they have any). To emulate the stress-relieving effects of beer without the alcohol, drink kava root tea. When prepared correctly, This tea-like beverage produces a sedative-like effect that makes you feel relaxed and calm without lessening your mental clarity. Though kava is banned by some countries, it is often used by Western herbalists to treat anxiety. There is currently no ban on kava root in the United States, and kava bars have been popping up around the country in places with large Polynesian populations and even in some New York City neighborhoods. You can also purchase it from Amazon and make your own kava tea. The best part about kava is that it has virtually no calories or carbs, so you don’t have to worry about going over your carb limit for the day while you experience the relaxing effects of this beverage. To get some of the sourness, fizz, and flavor of beer, drink Kombucha. 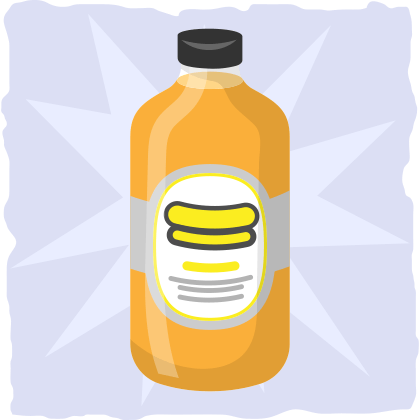 Kombucha is a fermented tea that has probiotics and other nutrients that are good for your gut health. The drink is typically made from fermentable sugar, yeast and bacteria that ferment the sugar, and either black or green tea. Although it is traditionally prepared at home, there are now many commercially produced varieties that are available in health food stores all over North America and Europe. Kombucha has some alcohol, but its alcohol content is much lower than beer (though some homemade and small batch varieties can approach the strength of beer). The varieties that are sold in grocery stores and health food stores usually have an alcohol content of less than 0.5 percent. If you love the flavor that hops add to beer, then you can try kombucha that is brewed with hops as well. Buddha’s Brew Kombucha and Kickin’ Kombucha are two brands, for example, that have hop flavored kombucha products that you may really enjoy. Keep in mind, however, that ALL kombucha has sugar in it. (The sugar is a necessary part of the fermentation process.) For this reason, it is best to read your kombucha label very carefully. Some kombucha varieties may be higher in sugar than others, so take note of it when you are tracking your carbs and calories. If you just want to limit your gluten intake, drink low-carb beer that filters out the gluten. There are a handful of gluten-free beers on the market, but most of them are high in carbs just like regular beer. One of the lowest carb “gluten-free” beers I could find is Omission Ultimate Light — A smooth, easy drinking beer that tastes just like light beer. In every 12 ounces, Omission Ultimate Light has 99 calories and 5 grams of net carbs with a 4.2% average ABV. In other words, this beer is as keto-friendly as the low-carb beers in the chart above. Just make sure you drink it in moderation. One important caveat is that this beer isn’t entirely gluten-free. It has less than 20 PPM of gluten so it may not be tolerable for some people who have celiac disease. If you’d rather have other keto-friendly alcoholic beverages, then drink unsweetened wines or hard liquor. When it comes to wine, unsweetened/unflavored champagne, dry red wine, and dry white wine are best. These are going to be the lowest carb wine that you can consume. They typically range between 4 and 5 grams of net carbs per glass (5 oz.). If you are more of a fan of hard liquor, then stick with having vodka, rum, gin, tequila, or whiskey. All of them have 0 grams of net carbs. Just make sure they are all unsweetened and unflavored. For a more in-depth look at what alcohol you should drink and what you should avoid entirely, check out our comprehensive guide on the ketogenic diet and alcohol. Beer is like liquid bread. It is typically filled with carbs and calories, and it is rarely keto-friendly. Plus, the alcohol in the beer will disrupt your body’s normal metabolic processes and shut down your ability to burn fat in the short term. However, if you must have a beer or two, then you do have some keto-friendly beer options you can choose from. *Greens Trailblazer has contacted me to let me know that it is no longer imported into the USA so it is not very easy to find. Homemade Shandy. 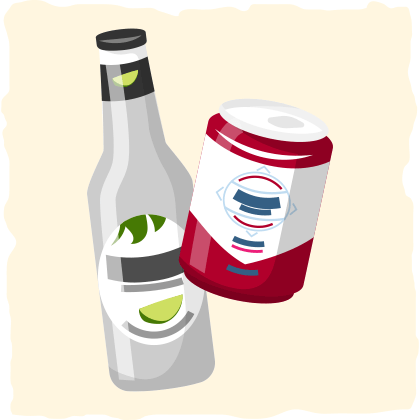 Mix your favorite low-carb beer with diet soda or fruit-flavored sparkling water so that you can have all of your favorite beer flavors with a fraction of the alcohol, carbs, and calories. Low-Carb Alcoholic Seltzer Drinks. Low-calorie and low-carb fruit-flavored beverages with 5 to 6 % ABV. Hard Liquor With Carbonated Water. Add some scotch, whiskey, or bourbon to carbonated water for a zero-carb smokey and bitter alcoholic drink. Diet Ginger Beer or Diet Root Beer. These diet soda drinks emulate some of the subtle flavors that can be found in beer. The best part is that they have no calorie, carbs, or alcohol. Carbonated Water with Bitters and Extracts. Pick your favorite no-calorie carbonated beverage and mix in some bitters and extracts. Hop bitters and orange bitters can be used to create a low-carb beer alternative that has some subtle beer flavors. Kava. A tea that will help you feel calm and relaxed. Kombucha. 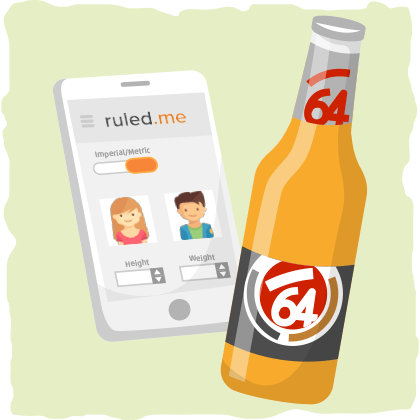 A low-carb drink that emulates some of the properties of beer with a fraction of the alcohol. Drink other low-carb alcoholic beverages. Check out our article about alcohol and the ketogenic diet for some more keto-friendly options. With all of these options, make sure you keep track of how many calories and carbs you are having. Even light beer and some of these beer alternatives can impair your progress when you aren’t mindful of how much you are drinking. Also, it is important to keep in mind that you may have a much lower alcohol tolerance while you are on a low carb diet or ketogenic diet. Hangovers may also be a bit more pronounced, so make sure you are eating plenty of mineral-rich foods like vegetables and drinking enough water. In general, alcohol can have a place in the ketogenic diet, but it must be low in carbs and consumed in moderation. Men should have no more than two drinks a day, while women should have no more than one. Anything more than this will be deleterious to your health and keep you from burning fat and losing weight. Even consuming beer and/or other alcoholic drinks in moderation can slow your progress, so it may be best to cut alcohol out entirely if you want to lose weight as quickly as possible.